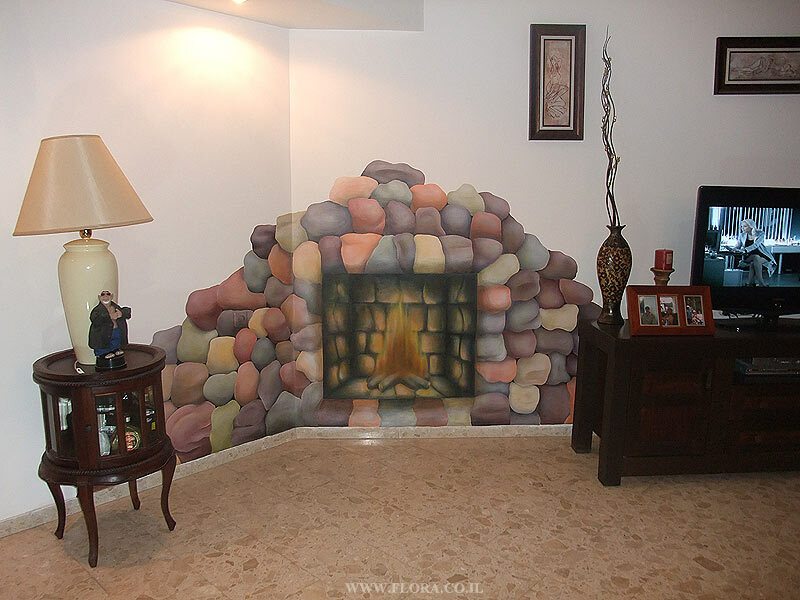 FLORA - MURALS - INTERIOR DESIGN - Interior design - Fireplace wall painting. Location: Ashdod. Muralist: Flora.